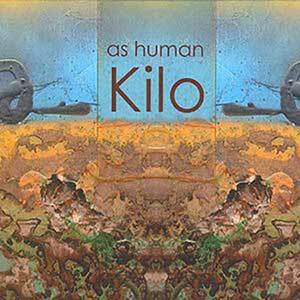 As Human was formed after a gig at the Aqua Lounge in Philadelphia. It was a last minute thrown together situation where the musicians were called to come play a night of improvised music. It hit pretty hard as the crowd was abundant, captivated, and had no idea that we were making up songs on the fly. Singer and front person Ryat had an ability to come up with vocal melodies and words over even complex and shifting musical landscapes while never being restricted by morphing keys or time signatures. The chemistry was pretty natural between the musicians, so knowing that we had a good dynamic with improv, we decided to solidify ourselves as a group and focus on writing songs. It was very much collective writing and arranging even when someone would bring in a full piece of their own. So this involved sometimes long and taxing rehearsals which manifested into the arrangements and songs that soon came to live on this record. It was recorded at Tom Spiker’s studio in Northern Liberties, Philadelphia, and was mixed and produced by Dion Paci with the help of Tommy and sometimes the band.